I’m not sure what’s up with me, but for the past few weeks I have had very little appetite. It’s not that I am not eating, but more just that I don’t crave anything in particular and nothing really seems all that appealing to me. This is especially true at breakfast time. I am not the type of person to skip breakfast. I absolutely need breakfast every morning, especially on a work day when I know I won’t really get an opportunity to snack before lunch. I have my breakfast staples like eggs (of any kind) and homemade flax granola, but lately I just don’t feel like eating breakfast. I like smoothies, but I try to drink 16 oz of water as soon as I get up and always have a large coffee before I leave the house, so the thought of more liquid before work doesn’t seem like a good idea, but I honestly need to change things up a bit. We always have frozen berries in the freezer because my daughter eats them like there’s no tomorrow, but my husband brought a bag of frozen pineapple home from his last Costco trip. I love fresh pineapple, but the frozen bag has been sitting in the freezer untouched for about 2 weeks already, so I decided that I might try a pineapple smoothie for something completely different to start off my day. Pineapple is packed with nutrients and is supposed to aid in digestion as well, so it seems like great choice. In preparing for this post, I found this article on Style Craze, that highlighted 17 Amazing Health Benefits of Pineapples. If you like pineapple, check out the post and stock-up on this delicious nutritious fruit. We make fruit smoothies all the time, but I honestly don’t know if I’ve ever made one with pineapple. I searched the web and came up with several different recipes. I decided to try a few and see which one I like this best. 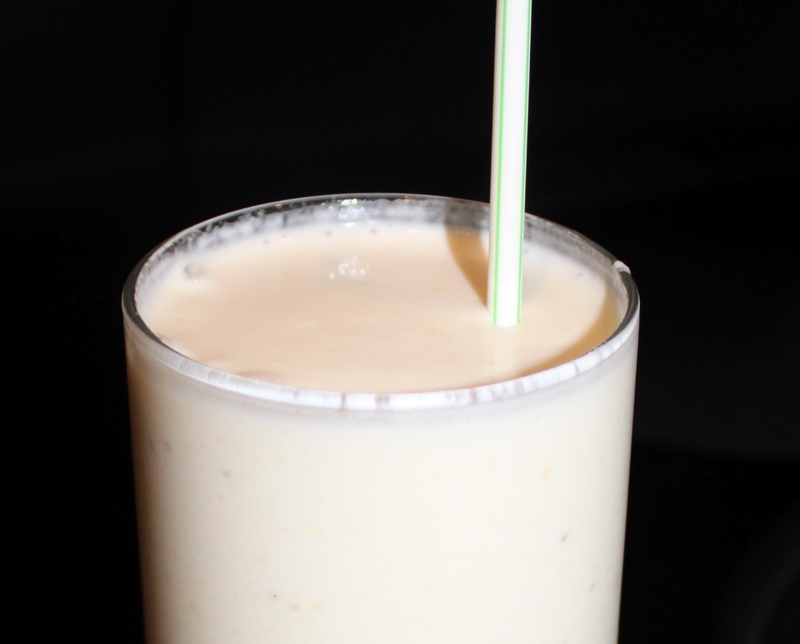 Here’s today’s Pineapple Smoothie Recipe taken from Creme de la Crumb. This simple recipe takes less than 5 minutes to make and has good flavour. Toss the ingredients in the blender. Blend and serve. I liked the taste of this smoothie, but I can’t say it will be my new “go to”. It was a bit creamier than I like and so I think I will test out another recipe next time and see if it is more to my liking. Don’t get me wrong, this recipe is good, just not quite what I’m looking for.